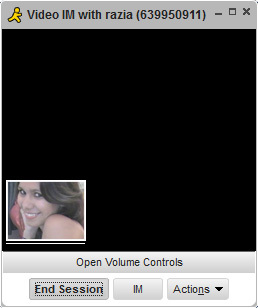 Configuration of Webcam Simulator in AIM. 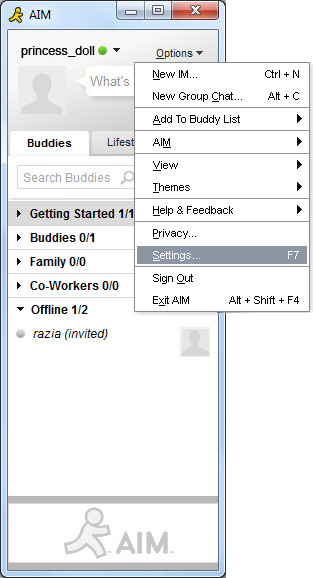 1 - Click on 'Options' and select 'Settings...'. 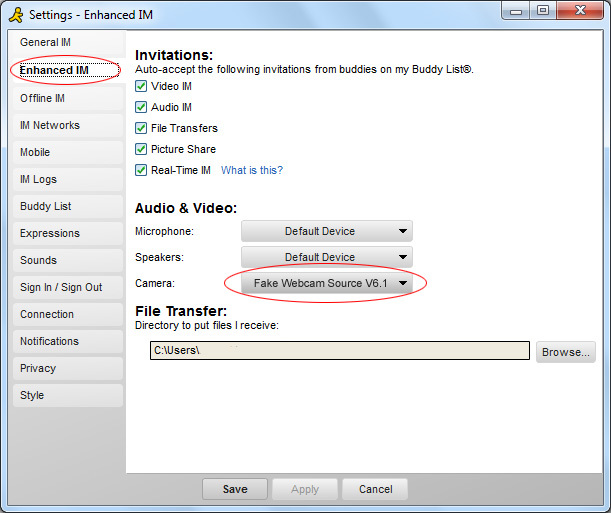 2 - From 'Enhanced IM' tab just select 'Webcam Simulator Source' from dropdown list as your camera and click 'Save'.